Brodie MacLaren has a dream. He yearns to wear the star—bring the guilty to justice and protect those who are innocent. In his mind, guilty means guilty, even when it includes a beautiful woman who sets his body on edge. Maggie King lives a nightmare, wanting nothing more than to survive each day and recapture the life stolen from her. Each day she wakes and prays for escape. Taking the one chance she may ever have, Maggie lashes out, unprepared for the rising panic as the man people believe to be her husband lies motionless at her feet. Deciding innocence and guilt isn’t his job. Brodie’s orderly, black and white world spins as her story of kidnapping and abuse unfold. 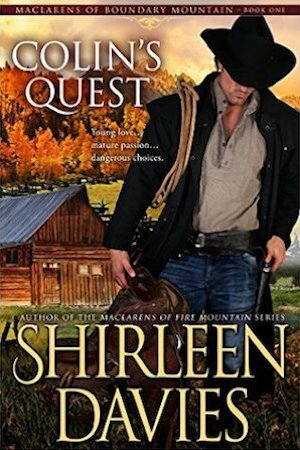 The fact nothing adds up as well as his growing attraction to Maggie cause doubts the stoic lawman can’t afford to embrace. Can a lifetime of believing in absolute right and wrong change in a heartbeat? Maggie has traded one form of captivity for another. Thoughts of escape consume her, even as feelings for the handsome, unyielding lawman grow. 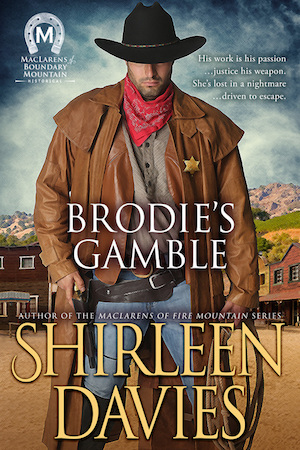 As events unfold, Brodie must fight more than his attraction. Someone is after Maggie—a real threat who is out to silence her. 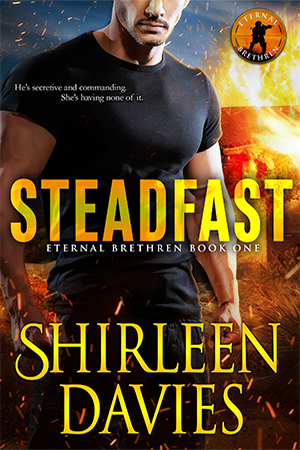 He’s challenged on all fronts—until he takes a gamble that could change his life or destroy his heart.